Born 28 August 1808 in Pennsylvania. Died 30 December 1894 in Sullivan County, IN. 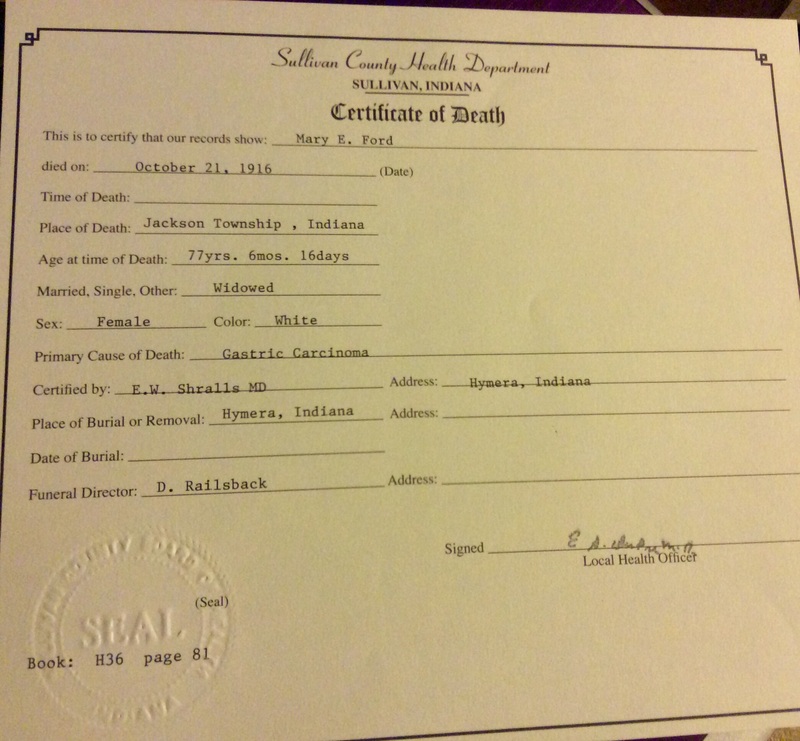 Possible maiden names: Death certificate for her daughter has mother’s maiden name as ‘Lutz’. Another researcher has ‘Troxel’ or ‘Traxel’. I’d like to see the marriage record; I might send off a request for it. I know she had 7 children: Unknown daughter, Sarah, Mary, Nancy, George, Theresa, and Ephraim. The Ammermans are not found on the 1850 census o a page-by-page assessment of Jackson Township, Sullivan County and Randolph Township, Tippecanoe County. It is possible they were in the process of moving to from Tippecanoe County to Sullivan County when either Theresa or Ephraim was born, thus being missed on the census count. 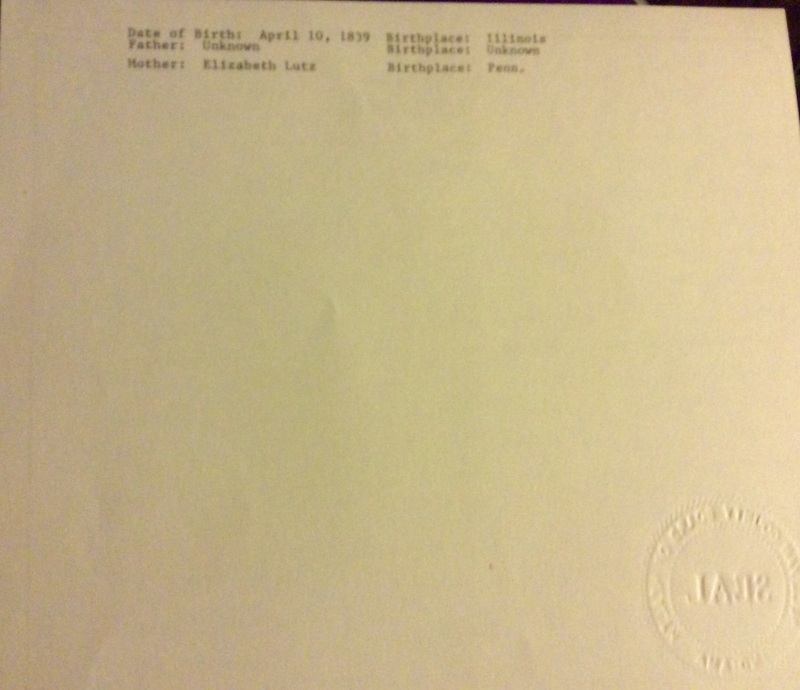 Images above: Death certificate for Mary (Ammerman) Ford, wife of Lyman S. Ford; her mother’s name is listed as ‘Elizabeth Lutz’.